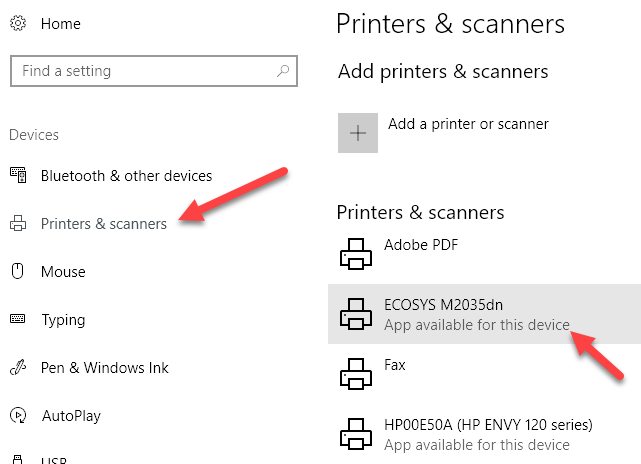 If you have tried to print a document in Windows 10, you know that it won’t print unless the printer is online. Usually, this just involves turning on your printer and waiting a few seconds for the status to change from offline to online. Unfortunately, this doesn’t happen all the time. Instead, the printer will remain in offline status even though your printer is on and connected to your computer or to the network. There are quite a few reasons why Windows may not detect that the printer is online and I’ll do my best to cover as many solutions as possible. The first thing to do before you get deep into settings and tools is to simply try power cycling your printer and computer. A lot of times that fixes the problem. Turn off your printer and turn off your computer. Then power on your printer and wait until it is connected to the network. If you’re using a USB cable, just wait till the printer is finished starting up. 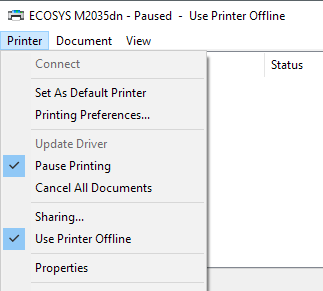 Now turn on your computer and see if the printer is still showing up offline or not. Make sure the printer is fully turned off and not just in power saving mode. If you’re not sure, the best thing to do is to unplug the printer completely for about 30 seconds. If your printer is still showing offline, then you can try to use the printer software that came with your printer. These printer utilities can usually detect the printer on the network and fix any issues that are causing the printer to appear offline. 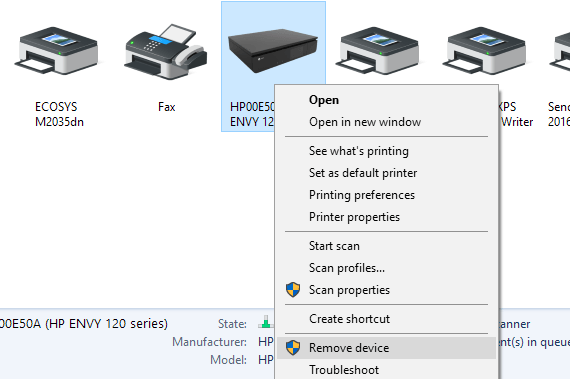 For example, you can check out my previous post on using HP Print and Scan Doctor to help with issues for HP printers. For Canon, go to their support site, enter your model number and then click on the Software tab. You can download their My Printer software to manage and maintain your printer. This pretty much applies to all printer manufacturers. If you have a Dell printer, go to the Dell drivers and downloads page, search for your printer and then download the printer application. Above is an example of Kyocera Print Center software running on my Windows 10 machine. It will show you the status of the printer and give you additional details like ink levels, etc. If you’re not sure whether or not printer software is installed on your machine, you can check by going to Settings, then clicking on Devices and finally clicking on Printers & Scanners. In my case, I didn’t even know I had the software already installed on my system, so this was helpful. Sometimes, even though the printer is online and connected, the settings are incorrectly configured. Open the printer queue by going to Devices and Printers in Control Panel and double-clicking on the printer. Here you want to click on Printer in the menu bar and then make sure to uncheck Pause Printing and Use Printer Offline. If the problem is with the Windows printing subsystem, then running the troubleshooter might help. 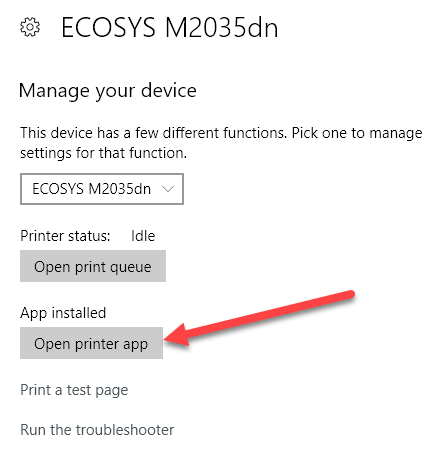 You can run the troubleshooter by following the steps in Step 2 to get to the Manage your device screen for the printer. Once there, you’ll see the Run the troubleshooter link. Click on that and it will check the spooler service, the network settings, etc. The troubleshooter usually works if the problem is related to Windows. If nothing has worked till now, the problem is probably related to the port configuration. This will most likely only apply to a networked printer, which has an IP address. The most likely cause is that the IP address of the printer has changed, but the port configuration still points to the old IP address. First, find out the IP address for your printer by printing out a network configuration page. If you can’t figure out how to do that, then check out my previous post on how to use some simple and free tools to scan your network and view the IP address of all devices on your network. Once you have the IP address, go to Control Panel, Devices and Printers and right-click on the printer. Make sure to select Printer Properties, not Properties at the bottom. Click on the Ports tab and then scroll down the list until you see the one port that is checked. Select it and then click on Configure Port. This dialog will tell you the current IP address that it thinks the printer has. If the IP address of the printer is different than the one listed here, then that’s your problem. Simply update the IP address here and you should be good to go. 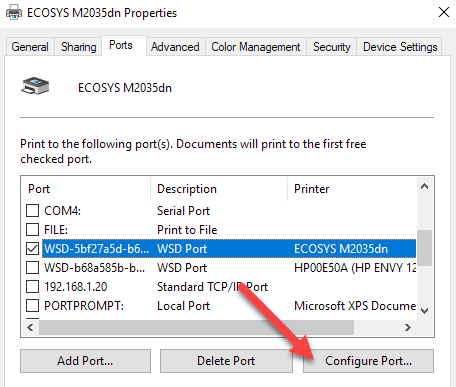 If you get any kind of error, like the one shown below, when trying to configure the port, then it’s probably because it’s configured as a WSD port. An error occurred during port configuration. This operating is not supported. A WSD port, which stands for Web Services for Devices, is an automatically configured port that you cannot edit. If this is the case and you can’t connect to your printer, you have to add a new TCP/IP port (via Add Port button). 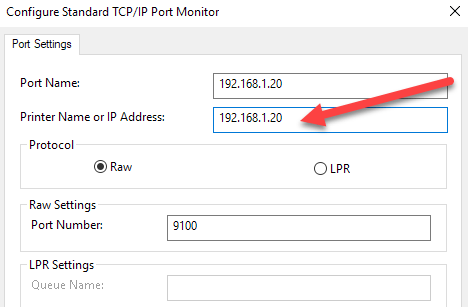 You can read my previous post on adding a network printer by creating a TCP/IP port. You can also read my article on how to troubleshoot wireless printers, which gives some extra tips. The other less technical option is to follow Step 6, which is to delete the printer and then re-add it, thereby automatically using the new IP address. If you can’t get the printer working yet, then your best option might be to remove it and then re-install it. 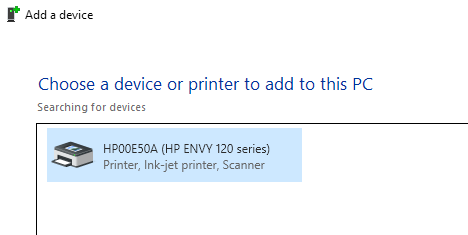 When Windows installs a printer, it will detect it, check all the settings, and make sure the driver for the printer is installed properly. You can remove the printer by going to Control Panel, Devices and Printers, right-clicking on the printer and choosing Remove Device. It’s also a good idea to restart the computer once before you reinstall the printer. Note that this will not remove the driver for the printer from your system. If there is some issue with the driver, follow Step 7. 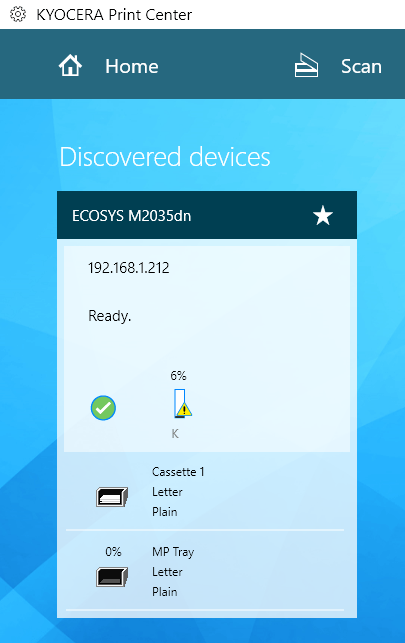 Once you have restarted, click Add Printer and Windows should automatically detect the printer connected locally on connected to your network. Sometimes the issue can be associated with the current print driver. If this is the case, you should download the latest driver for your printer from the manufacturer’s website. However, before you do that, it’s a good idea to remove the current print driver. Read my guide on how to remove a printer driver from Windows. Note that the article still applies to Windows 10. Hopefully, you’ve been able to print by now. If not, I recommend reading my other general guide to troubleshooting printers. In addition to everything above, it’s always a good idea to install the latest Windows updates as those usually contain newer print drivers, which could make your printer work better with Windows 10. If you have any questions, post a comment. Enjoy!